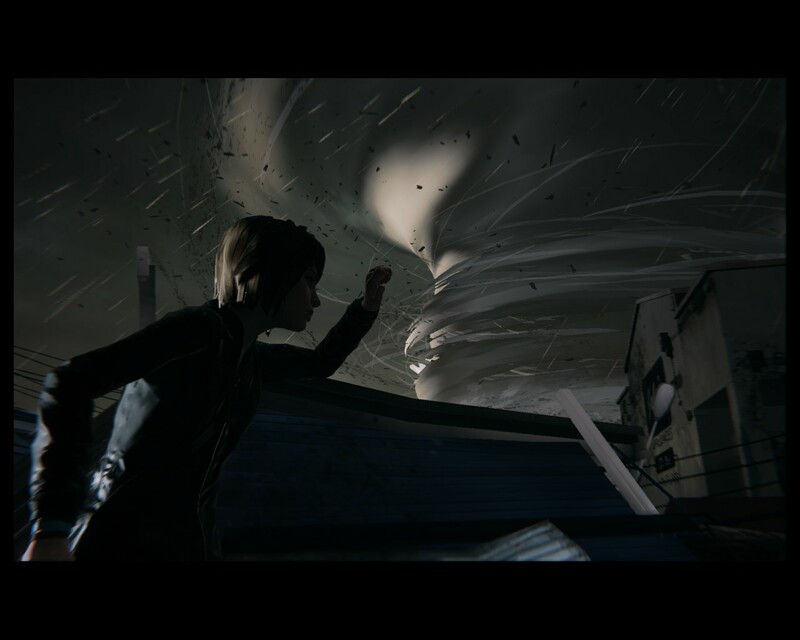 Life is Strange, Dontnod’s time travelling episodic adventure, is now finished. The fifth and final episode, entitled Polarized, was just released worldwide. Fans of the series have been waiting with bated breath to see how Max and Chloe’s adventure will end… and now we know. But did it manage to meet the lofty expectations fans gave Life Is Strange? Honestly, I was one of these fans and I was hoping it would. I was so eager to play and finish it that I started playing it at 2:00 AM and finished it at around 5:30 AM. Who cares if I had work in just a couple of hours? I just had to know! Like my previous reviews of the series, I will keep this review SPOILER FREE. No spoilers here for this episode and the previous ones. None whatsoever! In fact, I’m not going to be able to post a lot of pictures of the game since just looking at them may spoil some important plot points! So, Polarized/Episode 5 starts out pretty much where Dark Room/Episode 4 left off. Max finally knows who the main “villain” is and now has to focus on how to take that person down. Oh, and there is that pesky situation regarding the typhoon/twister that’s threatening to destroy the town of Arcadia Bay! Oh, you forgot about this? 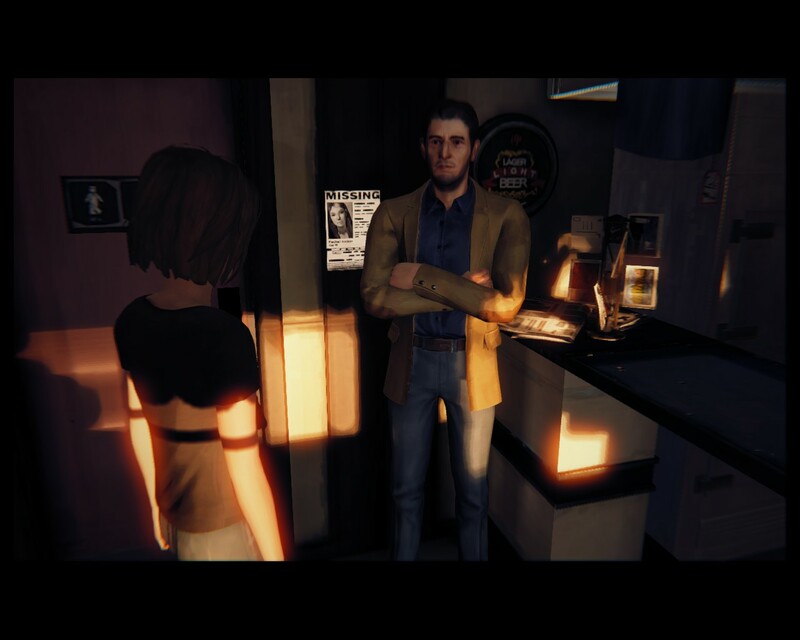 Episode 5 is probably the most streamlined of Life Is Strange’s episodes. It’s generally straightforward and, unlike the any of the previous episodes, there’s very little exploration involved. But that’s okay. Everything is supposed to come to a crescendo by this time and, since they force you on such a linear path, it does feel like something big is going to happen. That’s not to say you don’t use get to use Max’s time travelling powers. You will have to use it many, many times in Polarized. Sadly, most of them aren’t to solve puzzles. Because this episode is actually more “action oriented,” you will be needed to rewind time to erase the mistakes you made rather than use them to actually solve puzzles. It is kind of disappointing that the puzzles in here are so few yet aren’t that great. A lot of them are incredibly simple and you can breeze through this episode pretty quickly because, odds are, you won’t get stuck for very long. As this is the concluding episode, you’ll finally see how Max Caulfield and Chloe Price’s actions have influenced the townspeople and the town of Arcadia Bay. How the people will react to Max will change and their actual fate may change because of all of the choices you’ve done throughout the entire adventure. I don’t remember helping him, though. I do wish they did a better job in wrapping up the Rachel Amber mystery, the primary reason why Max reunited with Chloe. They didn’t answer everything. Episode 5 actually explains everything. But that’s exactly the problem! The “villain” just expounds on his motivations as well as the how and why regarding Rachel Amber’s disappearance. For a game that’s supposed to be realistic, all of a sudden we get a James Bond villain revealing his evil plan. However, they do manage to make the “villain” rather creepy. Max’s interaction with the primary antagonist is really uncomfortable and may give some gamers the willies. Of course, I have to talk about the ending a bit. While I will not reveal the ending (as this is a SPOILER FREE review), I will say that none of your choices in the previous episodes has literally no impact on what ending you get. None whatsoever! In order to get one of the two endings, you just make one singular choice. That’s it! Bleeped out to prevent spoilers! I can’t say I wasn’t disappointed with this outcome. I can’t help but feel a little cheated by this as it makes all of the carefully thought out choices you’ve made throughout the entire series feel moot. If you’re like me and really wracked your brain trying to guess which options would lead to a great conclusion to Max and Chloe’s adventure, it’s soul crushing to find out they were actually unnecessary to whatever ending you get. However, just like real life, Life Is Strange isn’t about the final destination, but the journey in getting there. That’s where the game’s strength lies. 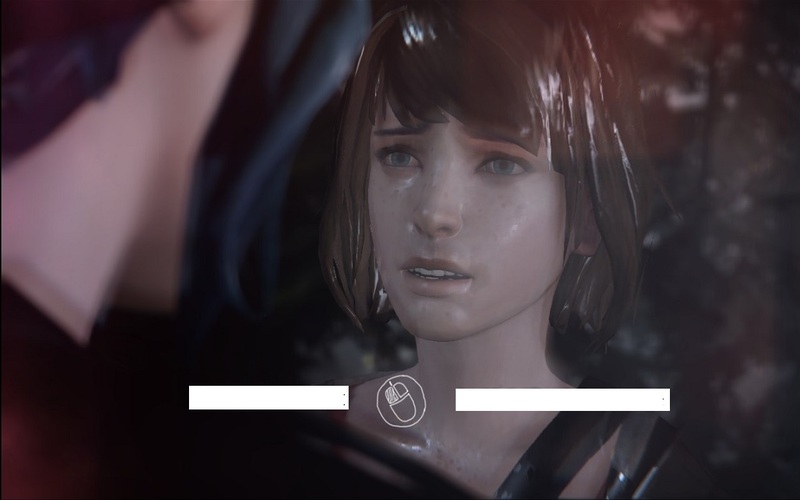 Life Is Strange does deliver a strong emotional story, no matter which choice you make in the end. Like the episode’s title, I think all of the gamers who’ve played through Life Is Strange will be polarized regarding which is the “good” ending because we will all be looking at the game through different eyes and perspectives. I was satisfied with the ending I chose and I hope the 57% of the other players that got it (as of this writing) walked away thinking it may not be the best way to end Life Is Strange, but it was definitely the more emotionally mature one in terms of storytelling. Overall, I would say Life Is Strange’s concluding episode closes out the entire series in a strong manner. Polarized felt like a satisfying way to end the five episode odyssey. Although it’s the most linear of the series, it’s a great way to wrap up the entire game, leaving no loose strings. Have you played the final episode of Life Is Strange? What did you think of it? Let me know your thoughts in the comments section below!